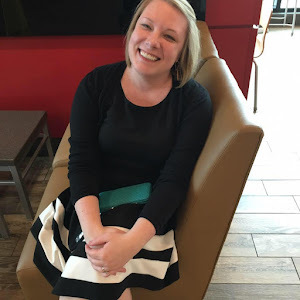 Here's something you should know about me, Reader Friends, and I've mentioned it before, but now seems like an apt time to go into a little more detail: I have depression. Depression can take many forms, and I am "lucky" in that mine is episodic. I am not depressed all the time, but when my brain chemistry is off I am severely depressed. It's not only hard to understand if you haven't experienced, I find it hard to explain when I'm not experiencing it. When I'm in a depression, my mind is fuzzy. I'm not depressed right now and it sounds ludicrous to me that I would be so sad (for absolutely no reason) that I can't get out of bed or feed my pets or take a shower. But that is exactly what happens when I am having a depressive episode. For those who don't know, I had one over the holidays this year. It was ugly and long and I honestly don't remember a lot of it, which is the nature of my depression. It tends to happen every two or three years. I'm back now, though and doing much better. I don't say that for everyone to be like "oh poor Julie, we didn't know!" or to get internet hugs or anything - it's just an explanation of why I'm reading a lot of depression-related books right now. I also think it's really important to normalize depression. I do feel embarassed and ashamed when I have an episode of depression, and I think the only way to stop feeling that way is for people who suffer from it to be open and honest about it just like you would with any other sickness. It doesn't mean I give out details to everyone I pass on the street, but I try not to cover it up or treat it as something shameful. I take medication to balance my brain chemistry just like someone with a thyroid condition would take medication to balance their thyroid levels. And, for me, that works most of the time. On to my review. 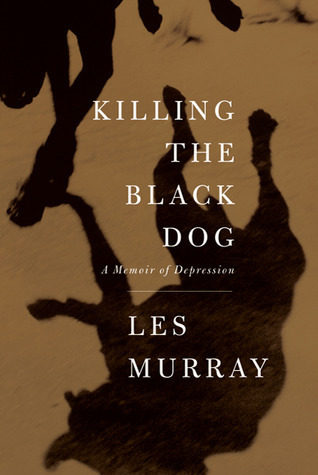 A few things you should be aware of in this book: The "black dog" Murray refers to in the title is depression. Winston Churchill referred to depression as his "black dog", and Murrary appropriates it in his book. This book is half depression memoir and half poetry relating to Murray's depression. Beautiful. The whole thing, including the prose memoir in the first half of the book, is very lyrical, which is natural given that Murray is a poet. I really enjoyed taking a look at depression through the lens of poetry. It's something that I haven't had the experience of doing before and I think Murray is an excellent introduction. Because the first half is a memoir, it eased the transition into straight up poetry, which I always find daunting. Obviously, the book is about depression, so it's not a happy, rosy, frothy story by any means. It's really not even a story - it's reminiscences on a very serious mental illness. However, Murray's story is also hopeful and insightful for those who suffer from depression or those who want to understand depression. At the end, Murray makes peace with his episodes of depression and feels he has killed the black dog - he finds that for now he is cured. The poetry is melancholic, but again, hopeful. I found myself having to read the poems over and over to fully understand them, but I think that is the nature of poetry. This is a great literary look at depression. It's also short and, I think, accessible to readers who are willing to put in some effort. Here's one more interesting tidbit: my older brother is a poetry professor and editor in chief of 32 Poems literary magazine. He's my go to source for all things poetry-related, so I texted him when I started this to ask if he likes Les Murray. Turns out, he's currently corresponding with Murray. It was another case of literary kismet and I got to pass on word to Murray through David that his poetry was meaningful to me. I'm sorry you go through that. I don't have depression exactly, but my anxiety about my health issues often bring me down in a way that I worry way too much. It can be a dark place for anyone having mental anguish. I've always found you to be positive. Thanks for opening up and I'll have to read this book.